I wish I could tell this story in the first person, because then it would be all about how I managed to finagle a ticket to a gala dinner with Thomas Keller, prepared by Thomas Keller, filled with truffles flown into New York by Thomas Keller, and featuring Thomas Keller as the guest of honor. But alas. It wasn't me. My high school best friend, on the other hand, was actually in attendance at said gala dinner held in June at Keller's NYC restaurant Per Se. Evidently, when Keller throws a party, he sprinkles magical truffles on pretty much everything. Then he sends his guests home with a pretty substantial wooden box, embossed with 'Per Se' over the top, and brimming with keepsakes from what must have been an incredibly memorable night. I have it on good authority that my friend's boyfriend has added it to a totally non-creepy shrine to the three-star chef that also features signed copies of two of Keller's books. 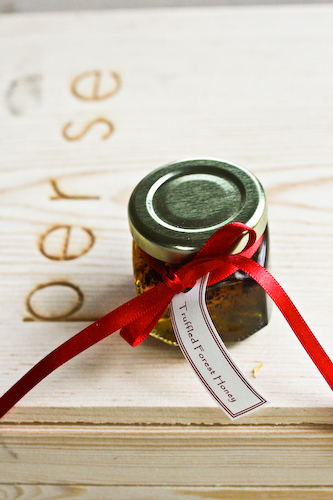 Included in the box was a small jar of truffle honey and a recipe for vanilla bean ice cream made without a machine. 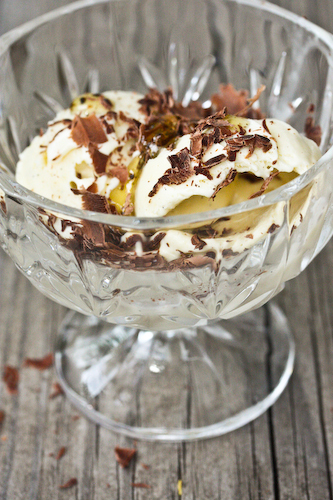 Keller recommended that the truffle honey be used as a topping for an ice cream sundae which should also include shaved chocolate. So when I was at home in Denver, E and I decided to take his recommendation. But. E couldn't find her ice cream recipe, and by that I mean, she couldn't find the recipe Thomas Keller had included. I think you can imagine my face at the time. Enter David Lebovitz. Now, maybe Keller's ice cream recipe is even better, somehow richer, smoother, silkier, even more redolent of vanilla. But I doubt it. This was my first experience with one of Lebovitz's recipes, since I still don't have an ice cream maker (I know, it's bad. I'm saving up credit card points as we speak). But you don't even need one with his method. 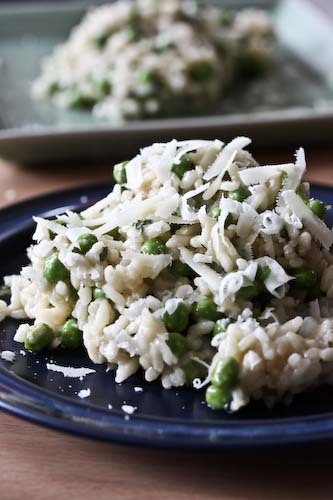 And kissed with a bit of truffle honey and a sprinkling of shaved chocolate? Keller was right. And we have Lebovitz to thank. I won't bother rewriting everything David Lebovitz has already explained (especially because I didn't actually make the ice cream. Great job, E!). I'll send you to his blog instead, where you can find instructions on making ice cream without a machine here, and his platonic ideal of vanilla ice cream here. 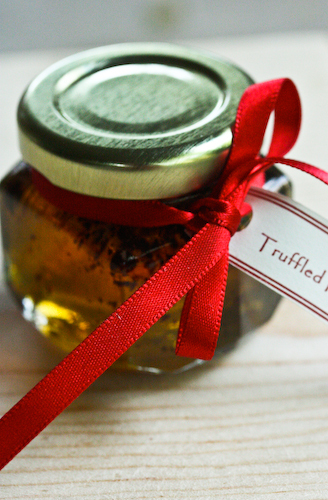 I can't tell you where to get truffle honey like we had, with little flecks of black truffle floating around in the bottle. But if you ever find it, send me some, too. WOW - I'm so jealous of your friend for going to that party. The ice cream in your photo looks amazing! I would love to have some ice cream on this hot day! Thanks for sharing the recipe with us...I'm in the same boat as you, but hope to get my machine this Christmas.